The new Pioneer AppRadio 4 (SPH-DA120) is currently unavailable for purchase on Amazon. The initial stock of units sold by The Sound of Tri-State Inc. has run out. 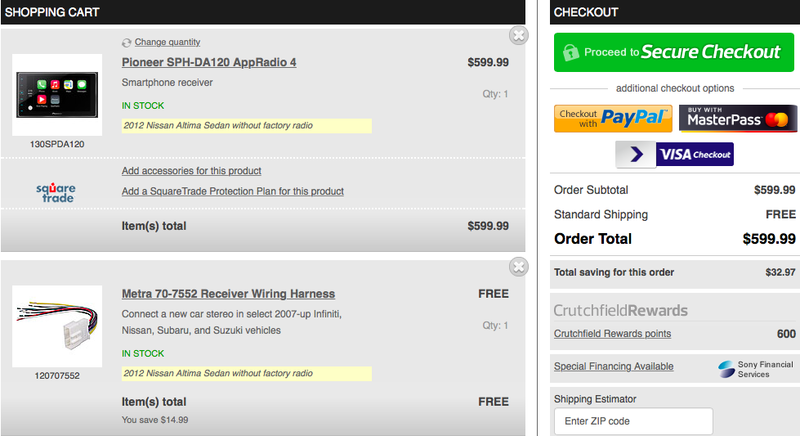 Best Buy: Best Buy's website still does not list the AppRadio 4 for sale. I called my local store and the employee was not able to confirm if the device is available for purchase yet. Halfords: If you are located in the United Kingdom, head over to a Halfords store and pick up the new AppRadio 4 for £349.99. Halfords' website shows the device but the listing page is missing at the moment. I will be waiting until Black Friday... Hoping for some deep discounts. This thing isn't worth $600.. More like $400 maximum. It's an empty box with a screen and AM/FM Tuner. All the power comes from your iPHONE and Carplay functions.